Deer hunting season (firearms) launches the second weekend of November in Minnesota —practically a holiday for many residents! Hunting is a physical and social activity for a lot of Minnesotans, and an affordable way to provide food for one’s table. Hunting also provides economic benefits for communities and businesses in the state. Unfortunately, the lead ammunition that is commonly used in deer hunting can be toxic to bald eagles and other wildlife scavengers as well as to humans. Lead is a neurotoxin that has been banned in the U.S. from gasoline, household paint, and other products. It is particularly hazardous to raptors like bald eagles, which are known to eat the lead-containing animal remains that hunters leave behind. Lead ammunition can fragment and spread widely in its target. As a result, deer meat can contain lead particles and dust that are not easily detectable or removable. These fragments can pose a health risk to people (pregnant women and children are especially vulnerable) and wildlife. 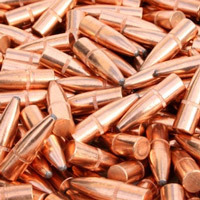 Copper ammo is considered to be a nontoxic, practical alternative to lead ammunition. Unlike lead, copper bullets stay in one piece and don’t fragment or shatter upon impact. Copper ammunition is very accurate and effective at achieving results. Though not all retailers currently sell copper ammo, its availability is growing. Ask your local stores to stock copper ammunition if they don’t sell it currently. If you’re a hunter, make the switch this year. If you don’t hunt but have friends or family who do, encourage them to give copper a “shot”. You’ll be doing yourself, your family, and Minnesota wildlife a huge service! The Minnesota Department of Natural Resources (DNR) has a Lead Information for Hunters web page that makes suggestions for reducing lead exposure (human and wildlife). Read “The Case for Copper,” published last year in the DNR’s Minnesota Conservation Volunteer, for results of recent studies conducted by the state agency and the University of Minnesota on lead-poisoning in bald eagles. The DNR and its partners—the Minnesota Deer Hunters Association, Minnesota Pollution Control Agency and The Raptor Center (University of MN)—were recently recommended by the Legislative-Citizen Commission on Minnesota’s Resources for 2015 legislative funding. Their project, “Hunter’s Choice: Alternative Ammunition”, will provide hunters statewide with information and hands-on experiences with non-toxic ammunition. For a 2012 article on copper ammunition in Minnesota Whitetales, a publication of the Minnesota Deer Hunters Association (MDHA), DNR’s Carrol Henderson and then-MDHA Executive Director, Mark Johnson, interviewed eight hunters—all of whom had switched from using lead to copper ammo. The hunters were asked for their feedback on copper ammunition performance, their reasons for switching from lead to copper, and their recommendations for other hunters. 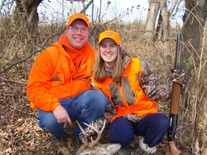 The Food Policy Research Center at the University of Minnesota (FPRC) released an Issue Brief in March 2014, titled Hunting Ammunition and Implications for Public Health. Among other findings, the FPRC determined that: (1) game meat harvested with lead ammunition may be contaminated with lead fragments; and (2) public health risks from lead can be reduced by use of non-lead hunting ammunitions. Come explore the complex relationship between pollinators and plants that ultimately affects people at Pollinators3: What You Need to Know and How to Make a Difference, a three-part series at the Minnesota Landscape Arboretum. The first in the series, Plants & People, takes place on November 6th, 12:30 p.m. - 4:30 p.m.
Do it Green! 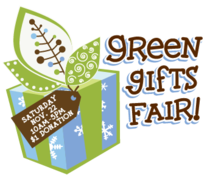 Minnesota invites you to kick off the holiday season with its 9th Annal Green Gifts Fair on Saturday, November 22, 10AM - 5PM at Global Market, located at Lake Street and 10th Avenue in Minneapoils. Over 80 local, eco-friendly artists and businesses will exhibit at the event, which will also include an eco-fashion show, holiday food samples, kids' activities, and demos. Attendees can also pick up a FREE copy of the 2015 Do it Green! Directory--an all-in-one resource for local, sustainable, and green merchants, grocers, retailers, contractors, designers, consultants, and many more! The Green Gifts Fair is a fun family event with an estimated attendance of over 6,000. Come car-less (and receive a free gift!) by downloading a Go Green Pass from Metro Transit at www.metrotransit.org.